This low-impact cardio class is suitable for people who want to learn Chinese dance but prefer not to perform on stage. Ah-Lan will teach a variety of dance styles from different regions of China, such as Mongolian dance, Dai dance, Tibetan dance. Popular Chinese songs will be used to accompany the dances, so you can enjoy beautiful Chinese music while you dance. This is a medium-impact cardio class. Zumba is a fun and upbeat Latin-inspired aerobic dance program. Yan’s choreography incorporates different styles of Latin dances such as salsa, merengue, cumbia, reggaeton, as well as international styles of dances like belly dance, flamenco, and Bollywood. The typical format of a class is: 3 warm-ups, 9 cardio routines, 2 cool-downs and 1 full stretch, in total 15 songs played one after another. The moves are repetitive and easy to follow even with no prior dance experience. Guys are welcome! This is a low-impact cardio class designed especially for beginners who would like to learn the basics of both Zumba and Chinese Dance. The choreography for this class is simpler and the moves are less intense. Yan will break down the moves to make sure they are easy for you to learn and master. 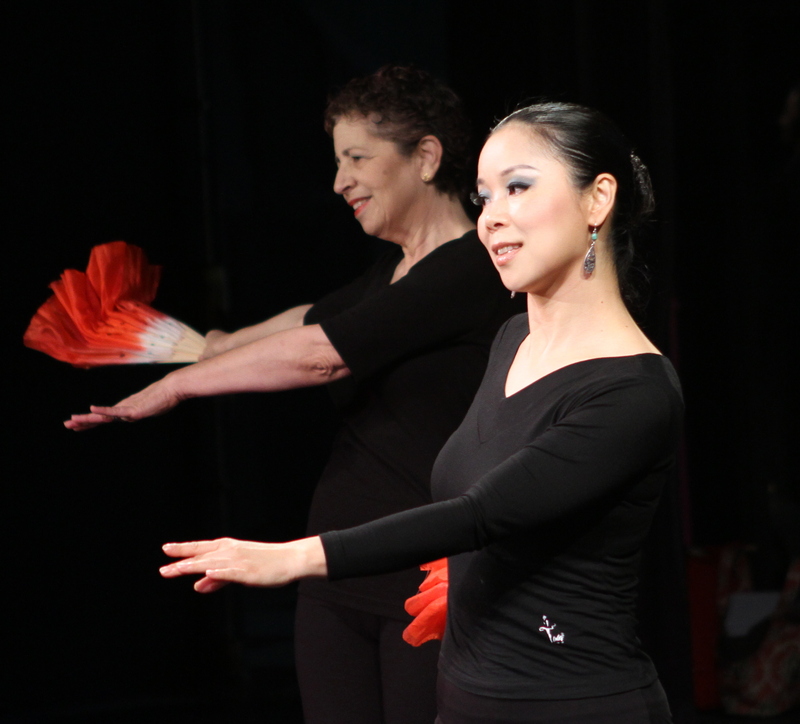 This introductory class is suitable for people with no prior Ballet experience. In this level you will learn the basic positions and concepts of Ballet with exercises at the barre and in the center. Ballet promotes flexibility, cardiovascular fitness and improves posture. Guys are welcome! This class incorporates hula hoop tricks and dance moves. You will burn fat and calories, tone and shape your body, and increase your aerobic ability. You will learn to use your hands, arms, waist, legs and feet to do hula hoops. There will be a few hula hoops at the studio, but please bring your own hula hoops. We will have different ballroom dance teachers to teach different ballroom dance styles. Each style will be covered in about 8 classes. We will start with Salsa, followed by international Latin, Samba, Chacha, Rumba, Paso Doble, etc. No need to bring a partner. Gentlemen are of course welcome! Thank you for your interest in Ah-Lan Dance. We are so sorry that our rates weren’t immediately clear. It was a small oversight from when we updated the summer schedule. I’ve put online the rate description at: https://ahlandance.com/open-div-classes/fitness-class-rates/. Let us know if you have any other questions!